Apple MacBook Air vs MacBook Pro: Which Mac is Best? If you’re in the market for a laptop, chances are you’ll have looked at Apple’s MacBook range with envy. 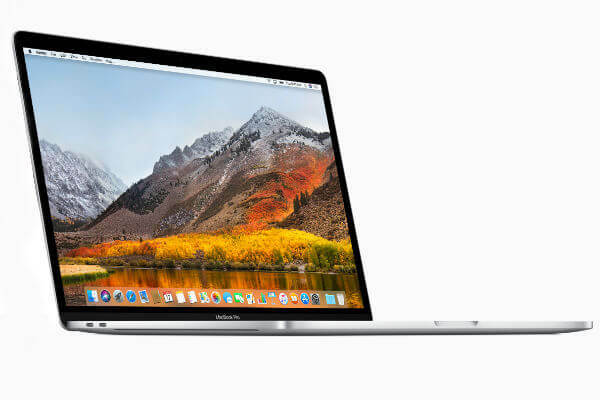 If you’re keen to invest in an Apple laptop, it’s typically a decision that boils down to the MacBook Pro or the MacBook Air – both are brilliantly designed, cost around the $1,000 mark, and have the Apple sheen. But which should you choose? 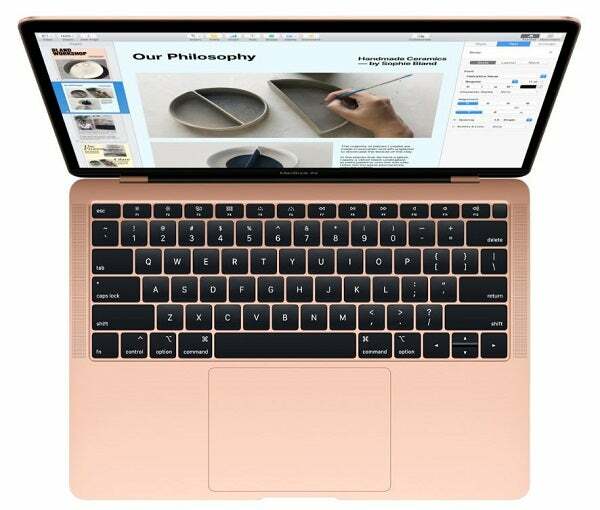 Known for their premium design, and a mainstay of coffee shops everywhere, MacBooks have a reputation as speedy, capable laptops that are a joy to use. You’re unlikely to meet a MacBook user with much negative to say about their laptop of choice. Want an all-rounder for general office and home use? Get the MacBook Air. Need a laptop for heavy duty graphic work and complex editing? Get a MacBook Pro. There’s some nuance to this – including which of the three MacBook Pro variants to choose between. The most important thing is to understand what your own needs are ahead of picking up a MacBook. Whether you end up with the Air or the Pro, we’re confident you’ll be over the moon with it, and join the legions of MacBook owners who speak so lovingly about their laptops. Below, we compare the key specs of the MacBook Air and the various MacBook Pro models to help you decide which is best. The good news? There’s no such thing as “a bad MacBook”. The most important thing is not choosing a model that’s overkill for your own needs – as the prices get very steep, very fast. MacBook Air or MacBook Pro: Which is Best? Both the MacBook Air and the MacBook Pro are excellent laptops in their own right, but which one to opt for depends on what you’ll be using it for. Both the Pro and the Air are beautifully designed and offer excellent battery life, at around 12 hours between charges. This makes them excellent travel companions, no matter which model you go for. As for which is best? We’ve got you covered. Our guide will help you work out exactly which model will work best for you. With the 2018 MacBook Air, Apple took the rather neglected laptop and brought it bang up to date. It now packs in an 8th generation processor, and took some design cues from the MacBook Pro too, including finally getting a highly detailed Retina screen. It’s also had its speakers moved to the sides of the keyboard, rather than underneath, making the sound more impactful and clearer. As you might expect, the Air is light and slim. It’s a great option for anyone who travels a lot with their laptop and doesn’t want to be inconvenienced by a weighty set-up. The Air doesn’t have the necessary grunt for heavy lifting tasks – think graphics editing, giant spreadsheets full of macros, or video work. For those tasks, that’s why the Pro exists. The MacBook Pro is a beast of a laptop, designed to tackle complex video editing and graphical processing with ease. Two of the Pro models (one 13-inch, one 15-inch) are also home to Apple’s Touch Bar, a feature you won’t find on the MacBook Air. This is a thin touch screen that sits at the top of the keyboard and offers a context sensitive control panel. Uses include using it to scrub through the frames on a video file, or quickly add emojis to your messages. Is it essential? No. Is it cool? Yes, it really is. It all sounds rosy for the Pro, but it comes at a price. Literally. The Pro is the priciest laptop in the MacBook line up, and can run you up to $2,800 if you opt for the 15-inch model with 512GB of storage. That’s not one for the budget conscious, but it’s a serious asset for design professionals. To keep your budget down, but still get plenty of power, we’d recommend the 13-inch MacBook Pro without a Touch Bar. This model is the cheapest Pro, but still packs in enough power for all but the most demanding users. The MacBook Air is pitched as Apple’s entry-level laptop. That’s a slight misnomer, as tech-wise, it blows most entry-level Windows models out of the water. With the Air, you’re paying for a laptop that will cruise its way through your daily tasks. It will let you juggle your social media activity, Netflix binging, web browsing and daily work with ease. So okay, the MacBook Pro can do all that too. But, it would be like buying a flamethrower to make toast – impressive, but overkill. The MacBook Air represents the best of Apple’s laptop line up for the everyday user, suiting their needs, and their pocket, too. The term ‘value’ might not seem like it has a place in Apple’s line up – if you’re looking for a bargain, you won’t find one here. Apple has long built its reputation on offering high end computing equipment that is desirable, not affordable. However, its cheapest laptop is the MacBook Air, at $1,199. That’s the price of the 2018 entry level Air, and if you’ve been on Apple’s website looking longingly through the virtual shop window, you might have spotted another Air that costs $999. So, what’s wrong with that one? Well, nothing. While the older Air model is perfectly fine, it’s rather dated – the 2018 model is a vast improvement in almost every way. We think it’s well worth investing the extra $200 for the newer model, rather than picking up the cheaper Air now and regretting it one or two years down the line. By this point, the old Air will practically be a fossil, specs wise. If you don’t need the MacBook right away (and we appreciate that’s a bit like asking a kid to not open its presents on Christmas Day), it could pay you to wait a little longer. On a stockholders call in early 2019, Apple promised that it was going to lower the price of the MacBook Air. We don’t know when this will happen, but we expect it to be before summer 2019. Let’s be clear – while the Pro has more raw processing muscle, the Air is still no slouch, and will happily breeze through most of the tasks that you throw at it without breaking a sweat. However, it’s the Pro that really kicks things up a gear. If you’re looking to do anything graphically intense, or some serious number crunching, this is the one to go for. First up, the Pro has a more capable graphics processor than the Air, which relies on the Intel UHD Graphics 617 chip. The Pro leans on the Intel Iris Plus Graphics 640 or 655 in its 13-inch form. But, upgrade to the 15-inch model and the Pro comes with a dedicated Radeon Pro graphics card – this gives the 15-inch Pro a significant boost when handling graphics. Sure, you can play Fortnite on it at a decent frame rate, but, more importantly, it can power through intensive media editing or graphic rendering with relative ease. Then, there’s the processors. The Air comes with an 8th generation 1.6GHz dual-core Intel i5. If all you tend to do is browse the web, stream and email, then this really is more than enough. The Pro, though starts with a 2.3GHz dual core Intel i5, and works its way there all the way up to a 2.6GHz 6-core Intel i7 in the 15-inch model (should your wallet allow it). In basic terms, this means that the Pro is a powerhouse. The MacBook Pro series is scalable depending on what your needs (and budget) are. In a 100 meter race, the 15-inch Pro would be signing autographs at the finish line while the Air was still listening for the starting gun. Portability is a key element of Apple’s design philosophy, with its teams constantly shaving millimetres and ounces from line up. The peak of this was the launch of the original Air, which at the time was heavily advertised as being able to fit into an A4 envelope. It might have lost some impact today, but at a time when most laptops were knee-crushing behemoths, it was practically black magic. 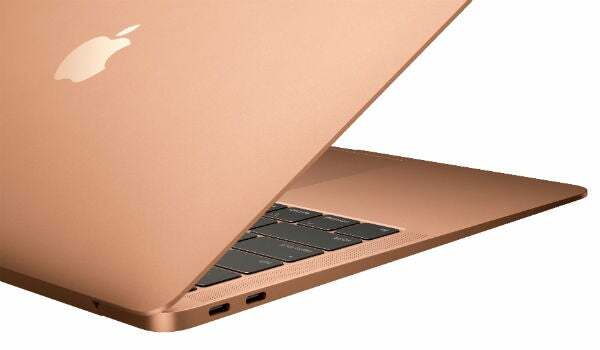 While there has been some friendly rivalry in recent years between the Air and MacBook models, with both vying to be the thinnest and lightest, the Air holds the current crown, and it is as svelte as an Instagram model’s airbrushed beach shot. Weighing in at 1.25kg and with a height of 0.61-inches, it’s a great laptop for slipping into a bag (or A4 envelope, if you prefer). That’s not to say that the MacBook Pro is a chunky brick, by any means. It’s also been shaved down to a satisfyingly slim and compact shape, but the Air is the ultimate laptop for portability. If screen quality is important to you, then you’ve come to the right brand. Apple’s laptop displays are hard to beat. Even the entry-level 2018 Air has now been bestowed its Retina display, with a 2560×1600 screen that is vibrant and offers stunning color reproduction. It’s the Pro though that goes the extra mile, though. 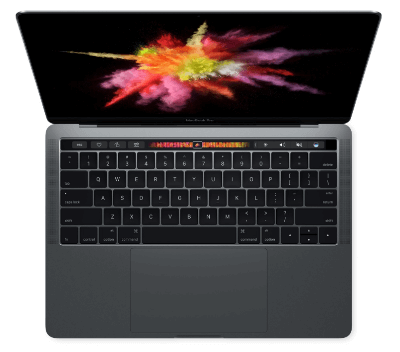 While the Pro models have the same Retina display as the Air, it’s notably brighter, and also offers ‘True Tone Technology’ on the Touch Bar Pro models. This is effectively a sensor that monitors your environment and then adjusts the display accordingly. It’s a familiar technology for mobile devices, but it’s still rare to find it on laptops. If you’re stepping onto campus with either a MacBook Air or Pro under your arm, then you’ll be the envy of plenty of students. But, which one to opt for depends on what you’re studying. For most students, the Air is a perfect fit, thanks to its lower price point and portability. Chances are that many of your textbooks will outweigh the Air – you’ll barely notice it in your backpack. Its snappy start time and long battery life mean that it’s a great companion during lectures, or throughout those late night study sessions. Yes, the Pro can do all this, too. But, the caveat is that the Pro is notably more expensive, and likely to be overkill for most students. However, there will be some that find the extra graphical prowess and number crunching beneficial. Media students who are tackling video editing projects, or anyone taking on computer programming or graphic design, will find the extra muscle of the Pro beneficial. If you’re not sure what sort of specs you’ll need for your course, check with the college ahead of time, who should be able to advise you on what most students use. You can also see our guide to laptop specs explained. It’s also worth noting that Apple offers discounts for students, meaning that you can make a saving on a new MacBook. Check out its Apple Education site for offers. Choosing between the MacBook Air and the MacBook Pro really comes down to two major factors – Budget and Need. If you go for the Pro, you’re getting a high spec machine that comes with a premium price tag, so make sure you’ll actually get the use out of it before investing. Consider it like a sports car. Yes, it looks great, and it goes fast, but if you’re only using it to drive into town a few days a week, you’re not going to feel the benefit of all those dollars.